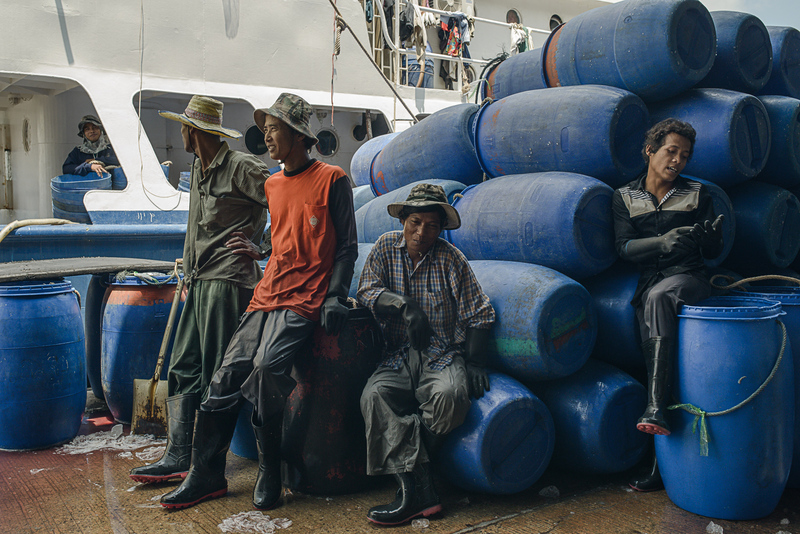 The first six months of 2014 was spent working on an undercover investigation into slavery in the Thai fishing industry, we were able to prove for the first time a link between prawns being sold in Tesco, Walmart, Costco and other big name supermarkets and the slaves who live and work on Thai fishing boats miles out at sea. You can read that investigation here and watch the film below. The film was shortlisted for an Amnesty International Human Rights Media Award and won “Best TV or Radio Documentary Dealing with Modern Day Slavery” and “Best Investigative Article or Broadcast News Dealing with Forced Labour and Domestic Servitude” at the Anti-Slavery Day Media Awards. The summer of 2014 was spent shooting a feature documentary in Kosovo and Albania, travelling around the island of Crete and filming with the pioneering professor Hiroshi Ishiguro at his Intelligent Robotics Laboratory in Osaka, Japan. Later in the year I returned to the Philippines and the island of Leyte to see how things had changed since the typhoon hit in November last year. Guillermo and his wife Theresa were if anything in an even worse situation, she has serious medical problems and cannot afford the cost of the operation, and little aid or reconstruction efforts seemed to have made their way to the communities that we visited. You can see the film that we released back in February 2014 below. Finally in the winter I travelled to Juba in South Sudan and Shan State, Myanmar to shoot two short documentaries that will be released in the new year. The Cause of Progress also finished principle photography this year after more than five years of filming in Cambodia, and will begin editing in the new year. You can watch the new trailer below.